Movie Info: An ex-hitman comes out of retirement to track down the gangsters that took everything from him. I found John Wick to be highly entertaining and an excellent addition to the Action / Adventure genre. It was great to see the movie’s star Keanu Reeves doing what he does best in a physically demanding role; this time delivering a performance as a former hit man. 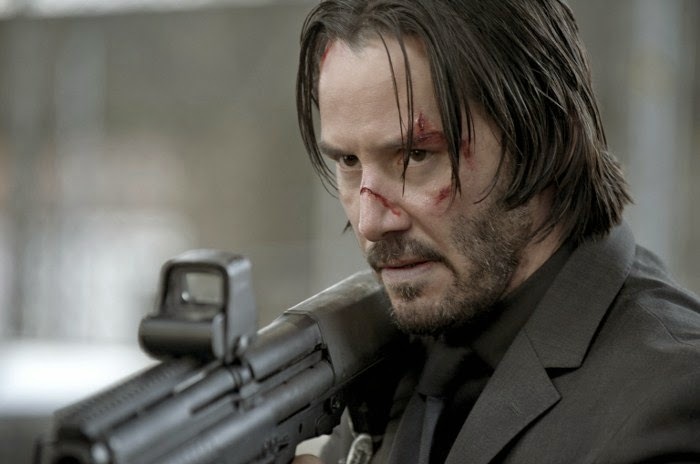 The plot is rather simple, John Wick [Reeves] leaves the Assassin life to take a crack at straight and narrow living, looses wife to a fatal illness and is attempting to grieve when the final gift left by his wife is destroyed, sending Wick on a quest for vengeance involving the Russian Mafia. John Wick delivers as a fast moving assassin picture laced with revenge, violence and redemption. In an article with US Weekly Reeves said he learned stunt driving and incorporated judo and jiujitsu into his combat moves. If you’re looking for entertainment and a film that doesn’t involve too much thought, John Wick is worth the ticket.